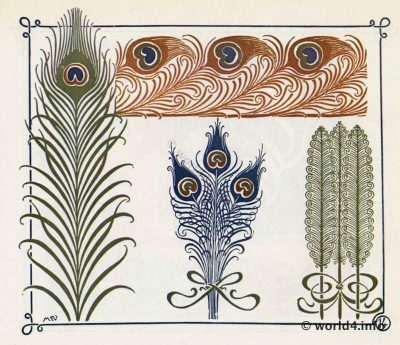 Home » 10s » Art Nouveau Ornaments, Peacock Feathers by Alfons Mucha. Art Nouveau Ornaments, Peacock Feathers by Alfons Mucha. Illustrations, Design Decoration with Peacock Feathers. Graphics by Alfons Mucha. Gallery: Art nouveau, decorative arts by Alfons Mucha. Previous PostArt Nouveau Ornaments. Art deco Period 1910. The New Palace Stuttgart Germany. Picture Postcards 1936. Braun Speaker L2. Design by Dieter Rams 1958. Antique German letter 1895. Sent from Constance to to Volos Greece.